In the summer of 1942, a band of citizen soldiers were brought together by the desire to be better than the other guy. At its peak, Easy Company, 506th Parachute Infantry Regiment, 101st Airborne Division, U.S. Army, was as good a rifle company as any in the world. 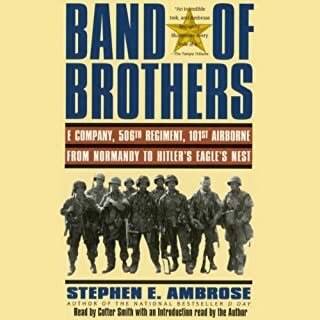 From their rigorous training in Georgia in 1942 through Utah Beach, Market-Garden, the Bulge, and Hitler's Eagle's Nest, WWII historian Stephen Ambrose tells the story of this remarkable company. A good, basic treatment. I quickly realized I would have preferred the unabridged version.